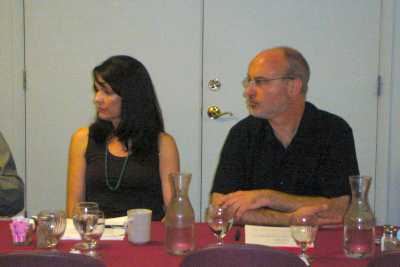 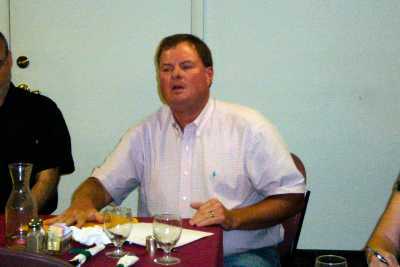 Below are photos taken at the 2007 meeting in the Cedar Creek Restaurant, Cedar City, Utah. 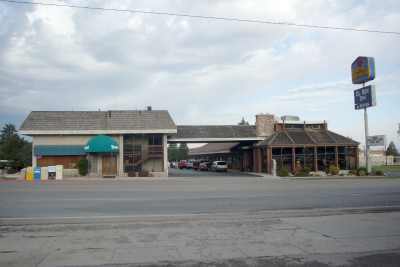 Above is the Cedar Creek Restarant and EL-REY INN where the MMMF meetings were held. 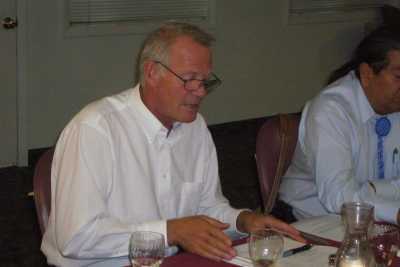 Scott Fancher presiding over the Roundtable discussion of stewardship of Mountain Meadows. 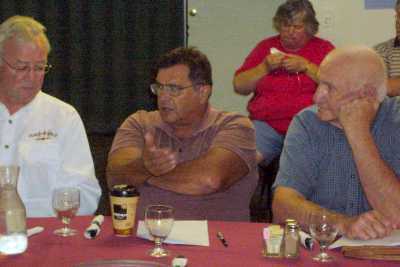 Ron Wright, and Burr Fancher listen as Sam Pamburn makes a point reguarding Federal Stewardship. 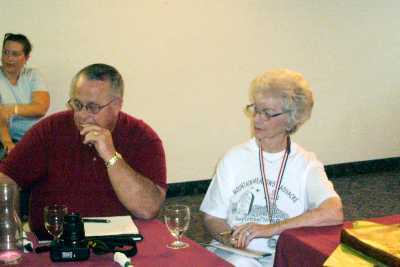 Bob Fancher and Susan Fancher look on at the morning disscussion.